This year (Thursday, June 18) we’re doing it again. It’s completely free to enter, but you must pre-register here before June 17. Right now we only have 6 teams signed up, so your odds would be pretty good; as long as you have a good working knowledge of Rochester. ROC Transit Day is next week – Thursday, June 18. 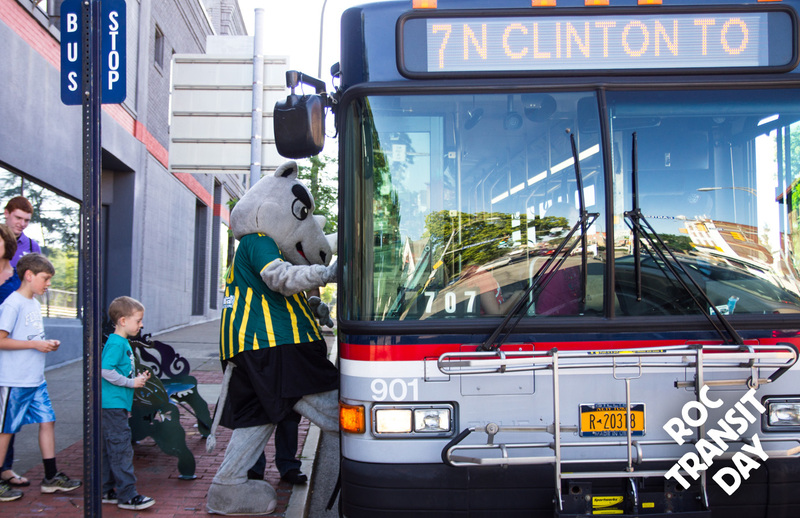 Rochester will be going car-free in support of a healthier community and we’ve lined up a fun day to celebrate… bus rides for you and the family, a street dance competition , city-wide treasure hunt , music all afternoon outside Rochester Central Library. Oh, and did someone say flash mob ? I’m generally a pretty happy person, but this time of year I’ve noticed my spirit has a tendency to drop a few pegs. Probably has something to do with the shorter days or whatever. Who knows. Anyway, it occurs to me that I’m not alone. There are LOTS of unhappy people out there. 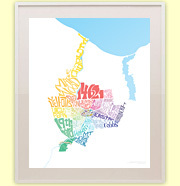 If you drive on the highways and byways of greater Rochester, you’ll get to meet many of them. 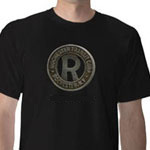 Guess What This Thursday is… ROC Transit Day! Reconnect Rochester is a non-profit organization I founded a few years ago to advocate for transportation alternatives in Rochester. We work for pedestrian-friendly streets, and we push for improved public transportation. These things are important to me because I’ve seen firsthand what happens to places that focus too much attention on providing spaces for automobiles, and not enough on spaces for people. For ROC Transit Day 2013 we gave away nearly 1,000 transit fare cards and asked Rochesterians to ditch their cars for one day in support of a healthier community. 30 different forward-thinking organizations (and many intrepid individuals) pledged to ride public transit that day. This year ROC Transit Day is Thursday, June 19, 2014. All kinds of free fun and great deals will be available for anyone who leaves their car at home and uses public transit for the day. Simply use this form or contact info@ReconnectRochester.org or 585-354-3232. The days are getting longer, and (slowly) the air is getting warmer. Soon enough the sweet scent of Lilac will be in the air. This can only mean one thing… ROC Transit Day will soon be here! The following is a repost from ReconnectRochester.org. ROC Transit Day is just a week away. About 85 local businesses and organizations have signed up to participate on June 20 – either encouraging their employees & members to leave their cars home, or by offering exclusive deals to transit riders . Rex the Rhino is planning his bus ride as we speak. Music buskers are tuning up for their performances during the evening rush hour on Main Street. Murphy’s Law on East Avenue is priming the kegs for our happy hour celebration (RSVP here ). And our volunteers are wrapping up HUNDREDS of prizes to deliver to random transit riders. 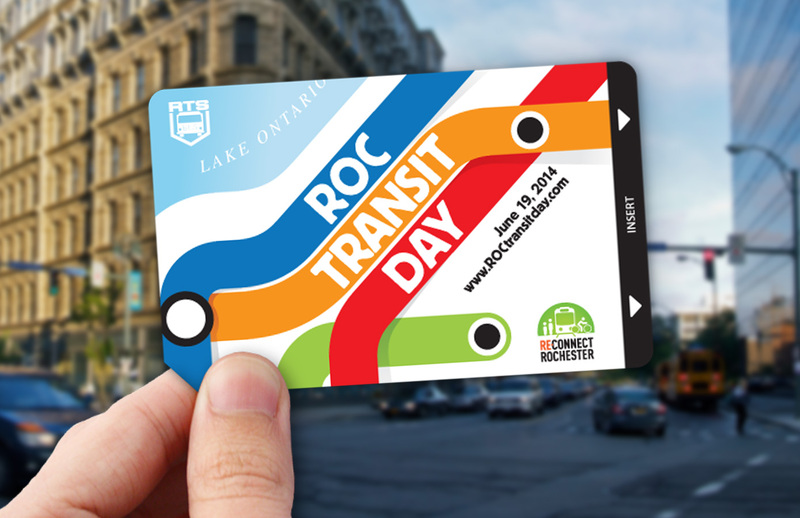 Best of all, we still have 300 limited edition ROC Transit Day fare cards left to give away before the 20th. 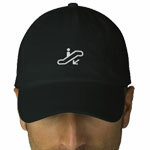 And we’re making them available to you now – first come first serve. 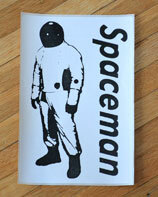 Send us your mailing address and let us know how many fare cards you’d like (no more than 5 per person please). Email your request to info@reconnectrochester.org. We can’t guarantee on time delivery for requests made after Sunday, June 16. So email us now! I just got back from the Genesee-Finger Lakes Active Transportation Summit; a conference (held in downtown Rochester) where mobs of cycling and transit advocates gathered for a day of discussion about moving Rochester forward… literally. Believe me, Spiderman isn’t the only one sporting the spandex lately. There’s an undeniable groundswell of support for walkable, bike-friendly streets, and transit options in this town. Maybe you were following the tweets coming out of Reconnect Rochester throughout the day? But if you were at the conference, you understand what I mean. The excitement was palpable, and contagious. 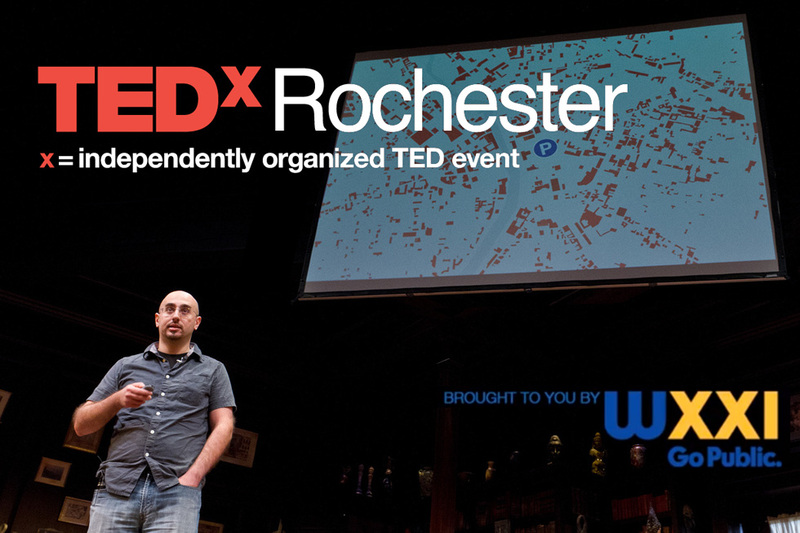 Last November I had the ridiculously huge privilege to give a talk at TEDxRochester. The gravity of the honor may have been too much for my little brain to comprehend. In fact, when they initially asked me to do it I said “no thanks” – twice. Long story short, I gave in. And I’m glad I did, because the experience was one of those “once in a lifetime” things. If you’re like most people, you’ve used public transit in other cities—maybe while sightseeing in NYC or backpacking through Europe—but then you come home to Rochester and you get right back in your car and drive everywhere you need to go. We may not even think about it. It’s just habit. On those days when I do leave my car at home and take the bus to work, it’s like being on vacation; from my routine. I don’t have to hunt for a parking space and lock up my car, or hike thru a nasty parking lot or gloomy garage. I just step off the bus and I’ve arrived. or later installed. 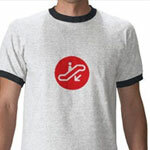 Click here to get the latest Flash player. On Monday June 28 at 7:00pm you are invited to a FREE screening of PBS’s eye-opening film, BLUEPRINT AMERICA: BEYOND THE MOTOR CITY. The documentary is touring cities across America to raise questions—and seek answers—about the future of transportation in America. Can we build the “infrastructure of tomorrow” today? Can the cash-strapped and car-dependent cities of the so-called Rust Belt become new models for fast, clean, public transit? The links and similarities between Rochester NY and Detroit MI are glaringly obvious—and I think you owe it to yourself to see this film.